Custom bottle label/information forms make your store look more professional. We currently work with pharmacies around the country to offer customized, cost-effective forms that let you project the right professional image—and built trust and brand recognition with your customers. 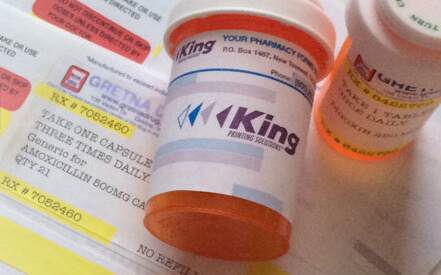 King Printing Solutions provides pharmacies with customized, cost-effective labels and forms that let you project the right professional image—and build trust and brand recognition with your customers. Our exclusive KingScript forms provide exceptional, hassle-free performance along with a branding tool you customize. More: Need Other Pharmacy Supplies? We’ve Got You Covered!